If you never played a game by Thunderkick, then doing it is something that you should do. This developer has a lot of experience due to the years it has worked in the industry, and has created some of the best slots there are available at online casinos. These are all produced with the maximum quality and attention to the smallest details, ensuring you get an incredible game that has the best of everything. Thunderkick does an amazing job with their slots and that is clear with Frog Grog. This is definitely a good play for new or experienced people. This slot has 23 paylines and 5 reels, and you can make a bet as little as 10p up to £100, depending on how much you can and are willing to spend, which is great since this gives you the opportunity to adjust your bet and you can do it whenever you want. You can expect superb graphics, because that’s how Thunderkick works. The soundtrack of the slot fits perfectly into the theme it has, which makes it more playable and enjoyable for players. This gives you a better experience that you will definitely love. 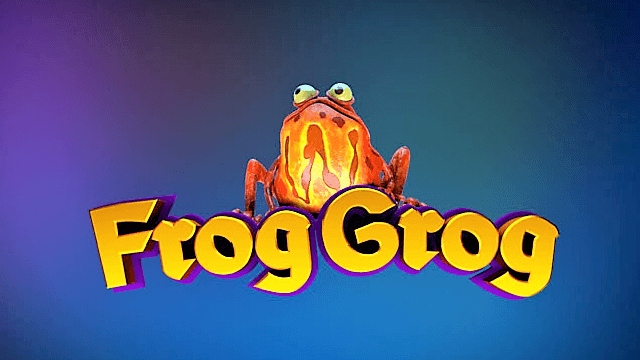 Something that’s a huge advantage is that Frog Grog is available for any type of device. If you have a smartphone or a tablet, whether it has an iOS or Android software, then accessing this slot is possible. And you can do it anywhere, anytime as well. You only need wi-fi or data connection to be able to play it through your smartphone or tablet. 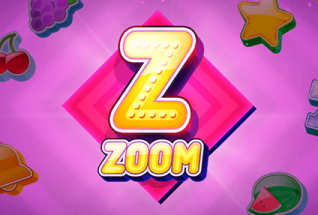 This is possible because the newest games are developed using HTML5 which means you can log in into your casino’s account and play this slot through your smartphone’s browser, the one you normally use, without needing to download any app or software. The slot is set on a laboratory, with skulls, a huge cauldron, bird cages, a witch hat and in the middle there is a piece of furniture that has all the symbols. You can see some of the accessories moving, which makes the slot even more interesting. In this slot, you will create new magical potions, that’s why you have all these accessories and the potions bottles are not only the symbols but also the ingredients. Although there are no free spins available in Frog Grog, you can always benefit from the dropping symbols and a mystery game. You can win some money with them, which is always something good. You are able to try this slot for free, just to know how it is. This can really tell you if you like it or not, and you don’t have to spend any money, which is an advantage. Of course, if you like playing it, then you can register at a good online casino and bet real money in it which will result in you earning also real money from it. Frog Grog is about magical potions and how they are made. There are several bottles of potions on the set, which are part of the theme. The slot is all set on a small lab where these are made, and you will be able to participate in the making. It has a very Harry Potter feel to it. When it comes to the symbols you have several potion bottles, but there is also a rose, a heart, a moth, two eyes, and also a frog-shaped bottle. Frog Grog has something that is called dropping symbols. Whenever you land a winning combination, the symbols will be taken out of the reels and new ones will appear which gives you better chances to win for several spins. There is a multiplier that is triggered when there are consecutive wins, and the amount is specified on the left of the slot. It goes from 1x to 2x, 3x, 5x and to 7x. The frog is the wild symbol and it can replace all of the others symbols. When it’s part of a combination, then the frog burp feature is triggered, and that’s where the frog removes all of the symbols that are on the same reel and on the same row. It will then turn blue and wild until the spin is over or until there is no more winning combinations made. Then there’s the mystery bonus game and it is triggered at random specifically when you haven’t a winning spin. All of the symbols with exception of the frog, the moth and the rose will disappear from the reels, and that can result in a great payout, because this increases your opportunity of having winning combinations. There is also the multiplier that is activated during these spins, meaning you can really have a good win from this mystery game. 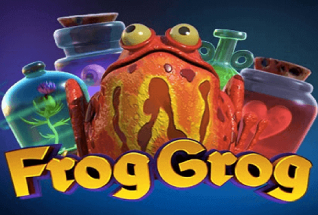 Frog Grog is the perfect slot for people who want to make some money playing casino games. Besides that, it’s very fun to play which is always an advantage for every player. 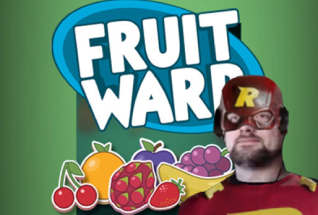 You have an amazing opportunity in this slot to get some wins. 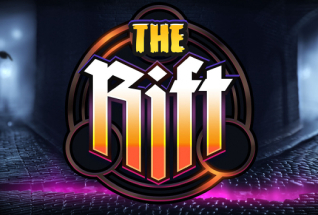 This is a great slot developed by the incredible Thunderkick, a developer that has been developing amazing slots. If you want to, there’s the possibility to play it anywhere you are, making it more accessible and that’s something many players love because they aren’t always home and they can play during their travels.